In Helm CONNECT Version 1.13, we made some changes to our Onboard > Crew tab, moving it to a new home in Onboard > Personnel, adding emergency contacts, and replacing the crew on/off functionality. From the Crew tab, you can still view your crew members' certifications and profiles, including the new Emergency Contacts sub tab. Those of you who previously used the 'crewing box' on the left side of the Crew tab to crew people on and off your assets will now crew people on and off using the Timesheets tab in Onboard > Personnel. NoteCrewing people on and off your assets is optional and isn't required for viewing your crew members' certifications or profiles. We now crew people on and off using the Timesheets tab under Onboard > Personnel. From the Onboard menu, select Personnel then click the Timesheets tab. NoteIf you have no people crewed on to the asset, you'll see a empty page. In the Add Entry box at the bottom of the screen, in the Crew field, select the names of the people you are crewing on. NoteYou can search for people by typing their names in the Crew field. Enter a Start date and time. Leave the End date and time blank. Important NoteIt's important that you don't enter the End date and time until you crew the person off the asset. Click Add. These people now appear in the table above. If any of the people listed in the table don't yet have a position, click in the Position field to select one. NoteBy default, the table lists the people who are onboard today, but you can select a different date at the top of the tab. If you're crewing people off at different times, enter the End date and time for one person. Enter the End date and time for the first person then hover your mouse to the right of the time field to display the Fill Remaining Rows icon. Click the Fill Remaining Rows icon to copy the End date and time to any crew members who don't yet have an end date and time. If crew members are getting crewed off at different times, you can enter the crew off date and time for each person. 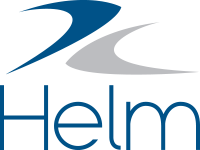 When you update to Helm CONNECT Version 1.13, any crew members who were crewed onboard in Version 1.12 will need to be crewed on again on the Timesheets tab in Version 1.13. You will see a 'crew on' record from when they were crewed on in Version 1.12. When you crew these people on again using Timesheets, you will see a second 'crew on' record. When you crew these people off using Timesheets, you will see a 'crew off' record. NoteWe updated the History tab, and the list contains all past crew on/off events. By default, the list is grouped by crew change. To see the names of each person who was crewed on or off, clear the Group By Crew Change check box. Helm CONNECT will remember your selection the next time you return to the History tab.